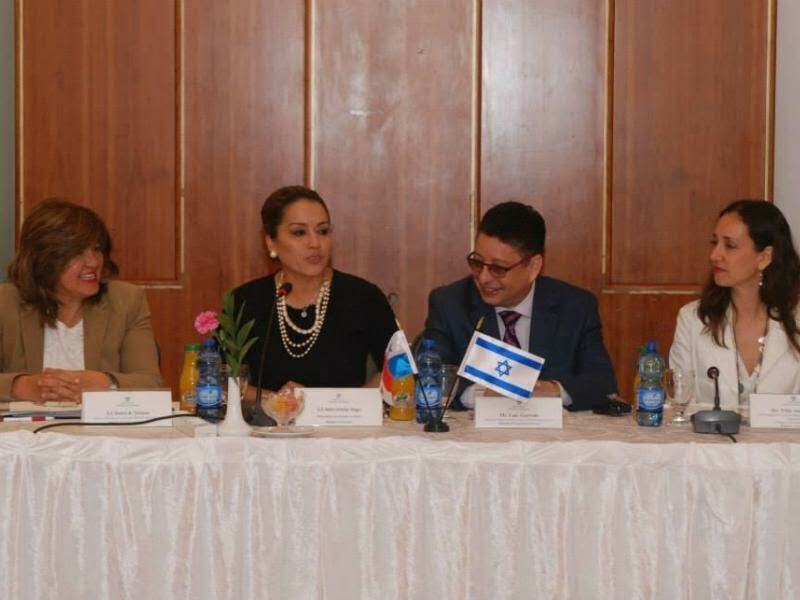 JERUSALEM –November 26th, 2015 – Israel concluded negotiations with Panama on a free trade agreement: an Israeli delegation headed by the Foreign Trade Administration at the Israeli Ministry of Economy which included seven representatives from relevant government ministries held the fourth round of talks in Panama City between November16th -19th, 2015 and succeeded in bridging the remaining gaps between the sides and completing the talks. Panama enjoys free trade agreements with several countries, including the US, the EU, Canada, AFTA countries, Singapore, Taiwan, Peru, Colombia, Chile and Mexico. The free trade agreement with Panama will put Israel in a similar position regarding trade benefits. The agreement, which will include a clause on the services sector, represents another springboard for Israeli companies in the service industry (a field comprising 30% of all Israeli exports). Israeli companies will now be able to participate in this sector in Panama -- with an emphasis on software, communications, information security, engineering and research and development – and thus enjoy the potential of this and related markets. Negotiations took place within the framework of the Israeli Ministry of Economy's policy of expanding exports from Israel to new markets and the policy established in May, 2013 of tightening relations with Latin American countries. In this latest round of talks, several work groups convened to discuss the following subjects: access to markets, customs and rules of origin, services, investments, protection of vegetation and livestock, trade obstacles and institutional issues. The agreement includes total reduction of customs on all industrial products (some will be reduced gradually over several years), partial lifting of tariffs on agricultural products and benefits for the export of services in various fields. The agreement is expected to take effect at the end of 2016. 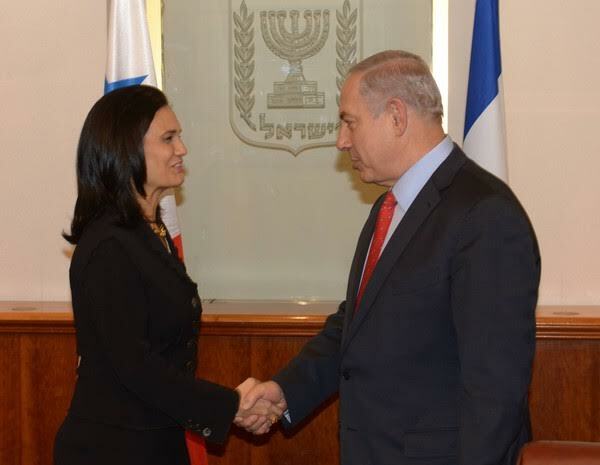 With talks successfully concluded, Panama will join the list of countries with which Israel has signed trade agreements: the EU – since 1975, US – 1985, AFTA (Switzerland, Lichtenstein, Norway, and Iceland) – 1992, Canada – 1997, Turkey – 1997, Mexico – 1999, MERCOSUR (Brazil, Argentina, Uruguay and Paraguay) – 2007, Colombia – (signed in 2013 but yet to be ratified by the Colombian government). Ohad Cohen, Head of the Foreign Trade Administration at the Israeli Ministry of Economy, said: "The Ministry of Economy continues to strengthen Israel's economic ties with countries around the world, with an emphasis on developing economies with high growth potential. This will strengthen Israel's foothold in Latin America, in line with our policy of expanding export channels for Israeli industry and various services sectors. The agreement will open new possibilities for Israeli industry while giving a competitive edge to Israeli manufacturers. Panama is a candidate to become member of the Pacific Alliance, a bloc of Latin American countries comprising Mexico, Colombia (both countries with which Israel has free trade agreements), Chile and Peru. The bloc includes some 200 million people and a combined GDP of more than $3 trillion; it covers 35% of the GDP of all Latin American countries and more than 50% of Latin American trade." According to the Foreign Trade Administration at the Israeli Ministry of Economy, the economy of Panama is based mainly on a highly developed services sector, which represents more than three-quarters of the country's GDP, and includes management of the Panama Canal, logistics, banking, the Colon Free Trade Zone, insurance, operation of the ports, shipping registration and tourism. The rate of economic growth in Panama reached 8.4% in 2013 and 6.2% in 2014, significantly higher than the average for Latin America and the Caribbean Islands (1.7% in 2014, according to World Bank data). Panama's growth is attributed among other things to the widening of the Panama Canal, begun in 2007 at a cost of $5.3 billion. Additional infrastructure development projects expected to take place may also draw Israeli companies with relevant experience. The country's modest exports reach only $25 million, but may grow in light of the agreement and in light of Panama’s role as a bridge to other countries in the region. Tel Aviv, 11.11.2015 - Aeroflot, Russia's national airline, represented in Israel by Open Sky, is increasing its activity in Israel to 37 flights a week. 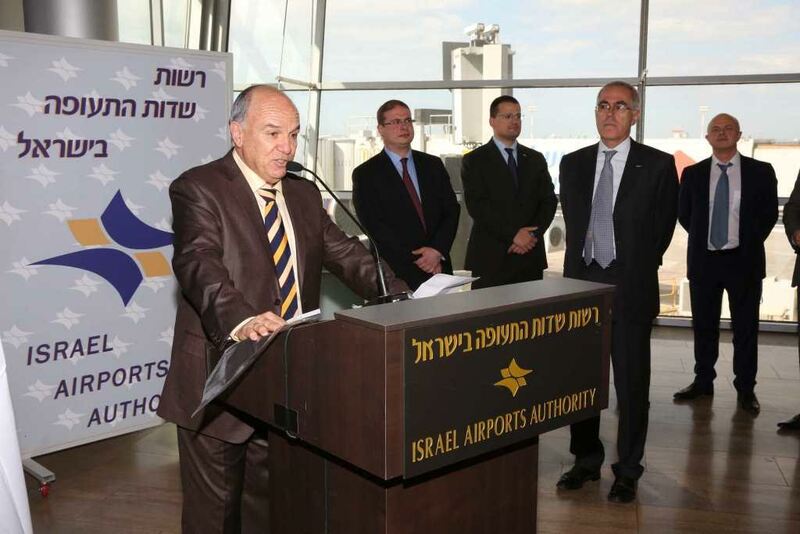 During the 2015-2016 winter season the company, marking its fifth year of successful presence in Israel, will be operating four daily flights on the Tel Aviv-Moscow route, flying Boeing 777-300 and Airbus A320/321/330 jets. Aeroflot will also be operating a daily flight to St. Petersburg and two weekly flights to Rostov. The four daily flights that Aeroflot is offering between Tel-Aviv and Sheremetyevo Airport in Moscow provide convenient service to 250 daily flights to 300 destinations in 60 countries around the world, with prices that bring better value than ever. Aeroflot operates one of the youngest fleets in the world: the average aircraft-age is just 4.2 years, and will grow younger as new jets are added. The company's Boeing 777-300, which will fly the Tel Aviv route twice a day, is among the most advanced, innovative aircraft in the world. The aircraft provides a lavish service experience, featuring a personal entertainment system and ample legroom in all classes. Aeroflot's global reach brings Israeli passengers convenient connectivity with short transit times, especially in Moscow, en route to their final destination. According to the company's figures, many of the Aeroflot passengers from Israel continue onto other destinations in Russia, Europe, North America or the Far East. Aeroflot has achieved impressive growth figures on its Israel route, which are likely to grow even more as the frequency of service doubles: In 2014, Aeroflot flew 370,614 passengers between Russia and Israel, compared with 272,513 in 2013. The fact that Aeroflot is a member of the SkyTeam global airline alliance broadens the horizons it can offer even more, through its colleagues in the alliance, which serve 1,057 destinations in 179 countries worldwide. From the end of October, when the Russian aviation authorities suspended the license of Russian airline Transaero, Aeroflot began flying the stranded Transaero passengers, a successful mission coordinated fully by Open Sky, Aeroflot's representative in Israel, working with the Israel Travel Agent Association and Israel’s Civil Aviation Authority (CAA). Aeroflot's cargo activity in Israel, which is exclusively represented by Open Sky Cargo, also grew by more than 20% in the last year, making it one of the five leading cargo transporters in Israel. The growth rate of Aeroflot's cargo division is among the fastest in the industry worldwide, and it offers rapid cargo shipment between Israel and the world through Aeroflot's comprehensive network of routes around the world. Speaking at the reception for Aeroflot executives at Ben Gurion International Airport, Mr. Ephraim Fortis, Founder, President and CEO of Open Sky, commented: "Open Sky and Aeroflot are marking a double celebration in Israel: five years of successful operation for Aeroflot in Israel, and doubling the frequency of flights on the Moscow-Tel Aviv line. During its five years of operation in Israel, the airline's activity grew from five flights a week to five flights a day on routes between Russia and Israel. The seating capacity the company can offer on the line and high occupancy rates on flights already position Aeroflot as one of the biggest airlines operating at Ben-Gurion Airport. Four daily flights to Moscow give the Israeli passenger flexibility in timing departure and return, and enable convenient rests between connecting flights in both directions. The Boeing 777-300 airliners offer the Israeli passenger the perfect flight experience on our flights. For Aeroflot executives to come to Israel for this special ceremony demonstrates the airline's commitment to developing the route to Israel, which continues to grow and expand." Edouard Cukierman: "With an increasing presence of Chinese investors at the GO4Israel conference, which are now the world leaders in investments in Israel, we can help open new global opportunities and create new relationships between entrepreneurs and international investors"
The Go4Israel annual conference will be held on October 26th at the Hilton Tel Aviv. Organized by Cukierman & Co. Investment House Ltd. and Catalyst Funds, Go4Israel, formerly Go4Europe, is one of the most influential business conferences in Israel, having won worldwide recognition for shaping the future of Israeli and related Global investments and policies. This Conference addresses central topics including the raising funds and establishing strategic alliances between corporate, entrepreneurs and investors from around the world. It focuses on global markets across key industries: Hi-Tech, Life Sciences, renewable Energy, Real estate etc. The conference acts as a valuable conduit for stimulating inbound and outbound investment to and from Israel, to both Western and Emerging Markets. Go4Israel 2015 will host key decision makers, business representatives and parliamentarians from Israel, Europe and China. The long list of senior speakers includes: Naftali Benett – Israeli Minister of Education; Lt. Gen. (res.) Benjamin (Benny) Gantz, 20th Chief of staff of the IDF; Yair Shamir – Former Minister of Agriculture of Israel, Managing Partner, Catalyst Fund; Jerry Arenson - Business Development Healthcare Technologies Manager, GE Global Research; Axel Kalinoswki – Manager, Continental Europe, London Stock Exchange; Dr. Dore Gold, Director General, Israeli Ministry of Foreign Affairs; Yossi Vardi – Chairman, International Technologies; Shengyan Fan – Head of Strategic Investment and Development, China Everbright Ltd. (CEL) and Managing Partner, Catalyst CEL; Luc Muller – General Manager, OTTO Group; Dr. Florent Gros – Managing Director, Novartis Venture Funds; Roger Cukierman - Former CEO, Ed. de Rothschild & President of CRIF; Ziv Tirosh – CEO, Stockton Group; Gilad Glick – CEO Itamar Medical, Dr. Manfred Horst – Director Licensing & and External Research: MSD; Elizabeth Kogan, SVP Global Generic R&D, Teva Pharmaceuticals; and many other leading business leaders and decision makers. This year’s conference panels will address issues such as: Cross border M&A; Technology, Media & Telecom; MedTech; Go4China Israel-China Business; Real Estate – New global trends; Pharma-Biotech; Green Technologies; Social Impact Investments; Go4Europe – The Place of Europe in Israel Business Agenda; and The Image of Israel Abroad. A special panel of Elevator Pitches will include selected innovative technology companies, which will be given the opportunity to briefly introduce their products and solutions to potential investors. The Go4Israel achievement Prize will go to Yossi Vardi, recognized technology leader, to honor his contribution to strengthening the relationship between Israeli hi-tech and the world. Edouard Cukierman, Chairman of Cukierman & Co. Investment House and Managing Partner of Catalyst Funds: "With an increasing presence of Chinese investors at the GO4Israel conference, which are now the world leaders in investments in Israel, we can help open new global opportunities and create new relationships between entrepreneurs and international investors. Israel as a country and Israelis as business partners have a lot to offer worldwide. This year's conference's sessions, which combine different central interest subjects with Israeli, European and Chinese major personas, is bound to create a lot of interest". Cukierman & Co. Investment House is the leading Israeli Cross-Border focused investment house, with a strong global network including many leading corporations, investors and financial institutions in key markets such as Europe, China, and beyond. Headquartered in Israel, the company provides a full array of investment banking services including M&A, Private Placements, Public Offerings, Consulting and Family Office Services to Israeli and European companies. With over 5.5 billion US $ in transactions, Cukierman & Co. has the largest Corporate Finance team in Israel with dedicated experts in the Life Sciences, Technologies, Media & Telecom (TMT), Green Technologies and Real Estate industries. Catalyst is a top performing Israeli based private equity multi-fund firm founded in 1999. With over US$200 million under management, Catalyst’s funds support capital and long-term growth of innovative Israeli middle-market companies in global markets. Catalyst assists portfolio companies in reaching their targets by leveraging on the partners’ vast Israeli and Global network. Catalyst has invested in innovative companies and has a diversified portfolio, including companies from the Industrials, Telecommunications, Information Technologies, Enterprise Software, Medical Devices and Bio/Pharma industries. The conference is produced, for the 5th year continuously, by "Kesher Faktor". Hosted by the Israeli Prime Minister, we will meet on November 10th and 11th in Tel Aviv, Israel, to create a dialogue about the world’s most forward-thinking approaches to transportation technologies and future business models, and to promote Israel’s ambitious goal of reducing 60% of the country’s oil consumption by 2025. A gathering of the world’s most distinguished decision makers and business leaders in the field of alternative fuels for a series of on-stage interviews, panel discussions, case studies, and brainstorming sessions. A cutting-edge exhibition of new and upcoming start-ups, as well as car manufacturers and alternative fuels companies at the forefront of implementing innovation in transportation. An invitation-only Gala dinner hosted by the Prime Minister in which he will award the 2015 Samson Prime Minister’s Prize for a major breakthrough in the field of alternative fuels for transportation. Israel is expanding its efforts to dramatically decrease the world’s dependence on oil in transportation. For the third year, the Fuel Choices Summit will bring together policy makers, business leaders, financiers, researchers and entrepreneurs in the fields of alternative fuels and smart transportation. Hosted by Israel's Prime Minister, we will meet on November 10th and 11th, in 'Habima' National Theater in Tel Aviv, Israel, for a dialogue about the world’s most forward-thinking approaches to transportation technologies and future business models, and to promote Israel’s ambitious goal of reducing 60% of the country’s oil consumption by 2025. October 7, 2015. New York, NY – Fourteen Israeli fashion designers will exhibit dresses at New York Bridal, which will take place in New York City next week. Among the leading Israeli names who will be exhibiting their designs on Manhattan catwalks will be Pnina Tornai, Alon Livne, Berta, Yaki Ravid and Galia Lahav, who will exhibit their dresses in private fashion shows. In addition, seven up and coming designers will be showing dresses at a unique event organized by the Israeli Ministry of Economy's Trade Mission in New York, in cooperation with the Israeli Foreign Ministry and the Israeli Tourism Ministry. Designers include Tal Kahlon, Merav Solo, Limor Rosen, Orabella, Lee Grebenau, Shlomit Azrad, and Yoav Rish. New York Bridal is the leading commercial event in the American wedding market, estimated at over $54 billion per year, of which 7% is spent on bridal gowns, amounting to c. $3.2 billion per year. Carolina Herrera, Badgley Mishka, Marchesa, Dennis Basso are among the leading dress designers taking part in this year’s event. "Of the 40 exhibitions expected during New York Bridal, about one quarter are from Israeli designers,” said Israeli Economic Minister to North America Nili Shalev. “This testifies to the exceptional talent in Israel. Israeli designers have become popular among American clients due to their innovative thinking and daring designs. Israel has long been 'on the map' internationally thanks to its technological innovation. In recent years the country has been making great headway in fields like television formats, wine, new media and fashion. This fashion event initiated by the Israeli Ministry of Economy's New York Trade Mission will let Israeli designers show buyers and potential business partners in the American fashion industry the great potential of the Israeli fashion industry, remarkable for its originality and creativity, traits influenced by the uniquely diverse and vibrant makeup of Israeli society." "The Israeli Consulate in New York is proud to take part in this important event,” said Israel's Consul General to New York, Ido Aharoni. “It is in days like these that we need to celebrate Israeli creativity in all fields, including fashion." "In order to continue efforts to highlight Israeli fashion in the US media, the Tourism Ministry's North America mission will host seven leading fashion journalists at the Holon Fashion Week that will take place in November,” said The Israeli Tourism Ministry's representative in North America, Uri Steinberg. “Among them are journalists from Elle, Glamour, Latina Magazine and leading fashion bloggers."